Pop Dance Workout is a new dance program for Your Shape: Fitness Evolved 2012 set to catchy & upbeat pop tunes. Choose from 6 choreographies, including fast and slower sections, to dance your way into shape! This class is designed for body sculpting and flexibility. Get an hour and a half of all new content! In this trailer, hear from real-life users on how Your Shape has changed their lives and helped them get fit their way! Pro football player Victor Cruz and actress Stacy Keibler also share how Your Shape works for them. With Your Shape 2012, choose from over 90 hours of varied activities, including classes like Jumprope, Yoga and Cardio Boxing, as well as dance classes like Latin and Hip-hop. The state-of-the-art motion tracking technology provides enhanced feedback and now monitors floor exercises like push-ups and sit-ups. Enjoy the new Back in Shape program for Your Shape 2012 in a complete bundle package. Back in Shape: Lose It offers exercises designed to help you shed those few extra pounds with an engaging mix of cardio and toning. And with Back in Shape: Keep It Off!, maintain a lean physique with fun, high intensity circuit routines. Once you’ve purchased this bundle, you can access it in the Your Shape: Fitness Evolved 2012 game by going to" Workouts" and then selecting the "Back in Shape" icon. Back in Shape: Keep It Off! is the 2nd part of an 8 week program on Your Shape™ Fitness Evolved 2012 to help you stay on track and reach your fitness goals! Build & maintain a lean physique with fun, high intensity circuit routines that offer an engaging mix of cardio and toning. Once you’ve purchased this workout, you can access it in the Your Shape: Fitness Evolved 2012 game by going to" Workouts" and then selecting the "Back in Shape" icon. Enjoy two new Your Shape 2012 workouts in another great bundle package. With Back in Shape: Keep It Off!, build & maintain a lean physique with fun, high intensity circuit routines that offer an engaging mix of cardio and toning. And Cool Down Package is a series of new activities giving you a fun way to end an intense workout session. Two interactive cool down sessions are available, with a focus on stretching for both the upper and lower body. Wind down your workout with Your Shape! Cool Down Package is a series of activities for Your Shape™ Fitness Evolved 2012 designed to be a fun way to end an intense workout session. Two interactive cool down sessions are available, with a focus on stretching for both the upper and lower body. Once you’ve purchased this workout, you can access it in the Your Shape: Fitness Evolved 2012 game by going to" Activities" and then selecting the "Cool Down" icon. Your Shape™ Fitness Evolved 2012 Bundle Pack - Back in Shape: Lose It & Jump Rope: Survival Mode Enjoy two new Your Shape 2012 workouts in one great bundle package. Back in Shape: Lose It is the first part of an 8 week program to help you shed those few extra pounds with an engaging mix of high intensity cardio and muscle building routines. 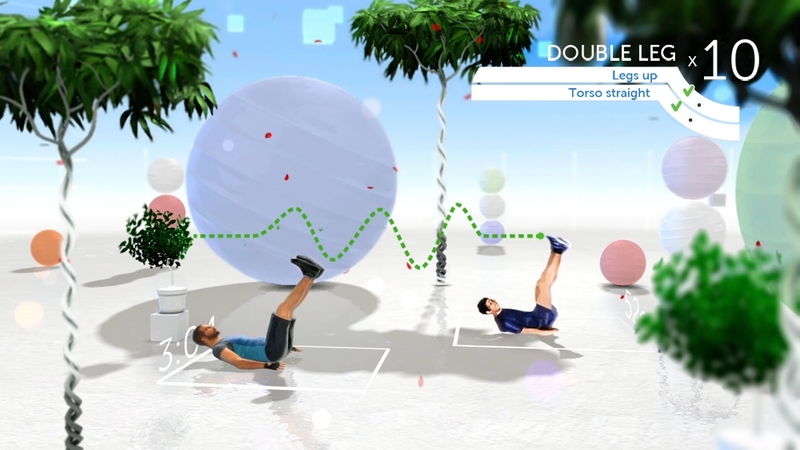 With Jump Rope: Survival Mode, have a blast with the ultimate Jumprope challenge. Survival Mode brings new fun to your workout with unlimited time, brand new routines and 5 lives. Back in Shape: Lose It" is the first part of an 8 week program on Your Shape™ Fitness Evolved 2012 to help you stay on track and reach your fitness goals! These first 4 weeks kick things off with exercises designed to help you shed those few extra pounds. This program offers an engaging mix of high intensity cardio and muscle building routines. Once you’ve purchased this workout, you can access it in the Your Shape: Fitness Evolved 2012 game by going to" Workouts" and then selecting the "Back in Shape" icon. Your Shape™ Fitness Evolved 2012 is bringing new Jumprope fun to your workout. 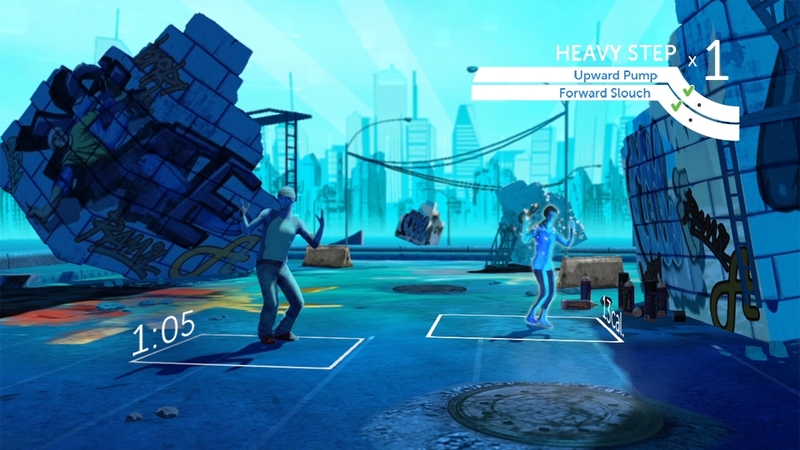 With “Jump Rope: Survival Mode”, see if you're up to the challenge of the best Jumprope class yet. With unlimited time, brand new routines and 5 lives, you and your friends can have a blast with the ultimate Jump Rope showdown. Once you’ve purchased this activity, you can access it in the Your Shape™ Fitness Evolved 2012 game by going to “Activities” and then selecting the “Jump Rope” icon. 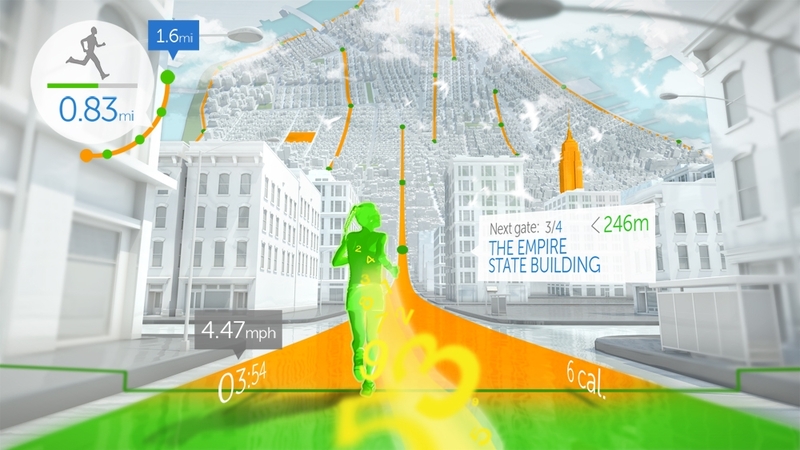 Your Shape Fitness Evolved 2012 is the personalized fitness game on Xbox Kinect that delivers serious results. With this demo, check out the intensity of Bootcamp, the engaging fun of Jumprope and the rhythms of African Dance. With over 90 hours of customizable activities, Your Shape allows you to workout your way! The state-of-the-art motion tracking technology provides enhanced feedback on your exercises, and now monitors floor movements for exercises like push-ups and sit-ups. Tailor your workout by using the in-game personal trainer, focusing on specific muscle groups or building a routine around your time limits. And tap into the Your Shape Center community to share and compete with players around the world. In this featurette, check out all the fun and sizzling Your Shape 2012 dance workouts, including Latin, Hip-hop, African and Bollywood. Choose from a variety of moves like Cha Cha Cha, Merengue, Shaman Step and Jaiho, and dance your way into shape! The state-of-the-art motion tracking and player projection technology provides enhanced feedback, so you know you'll get the best results. Customize your workout by using the in-game personal trainer, focusing on specific muscle groups or building a routine around your time limits. Your Shape allows you to exercise based on your own preferences, body shape and fitness goals. Check out this extended trailer showcasing the fun and inspiring environments and workouts of Your Shape Fitness Evolved 2012. 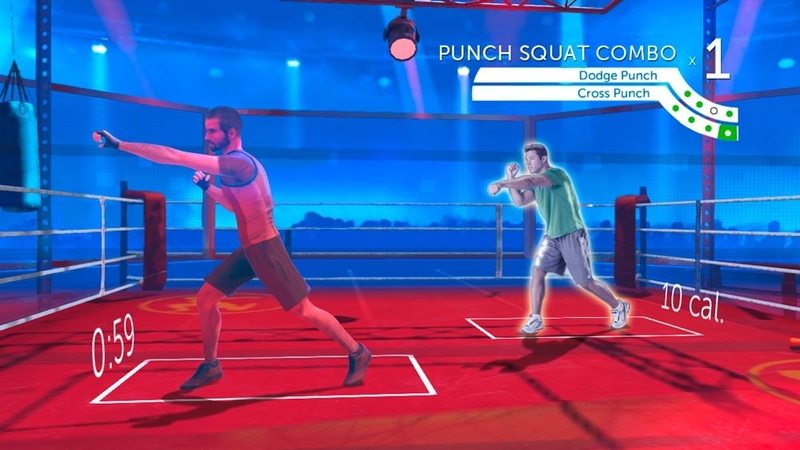 Your Shape is the personalized fitness game on Xbox Kinect that delivers serious results. With over 90 hours of activities, including new fitness classes like Boot Camp and Jumprope and new dance classes like Latin, Hip-hop and African, Your Shape allows you to workout your way! The state-of-the-art motion tracking technology provides enhanced feedback on your exercises, and now monitors floor movements for exercises like push-ups and sit-ups. Tailor your workout by using the in-game personal trainer, focusing on specific muscle groups or building a routine around your time limits. 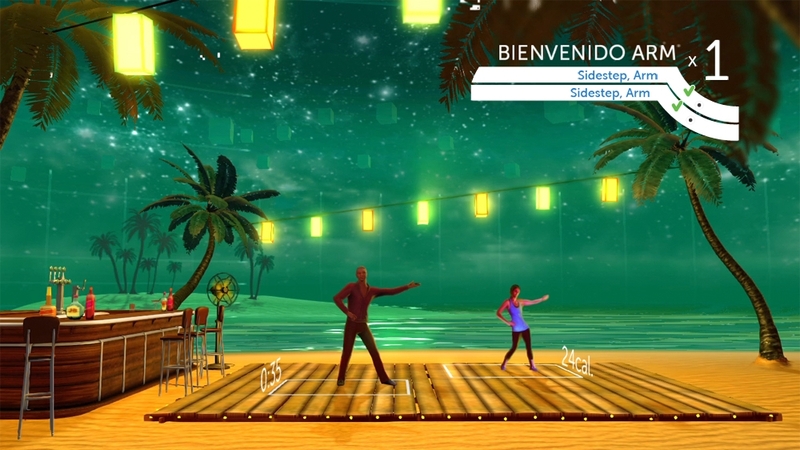 Introducing Your Shape Fitness Evolved 2012, the fun and customized fitness program on Xbox Kinect that delivers serious results. In this trailer, check out the many great ways you can play Your Shape to tone your body and burn calories. With over 90 hours of varied activities, including fitness classes such as Boot Camp, Cardio Boxing, Jumprope and Yoga, as well as dance classes like Latin, Hip-hop and African, you can workout and get in shape your way! The state-of-the-art motion tracking technology provides enhanced feedback and now monitors floor exercises like push-ups and sit-ups. Customize your workout by using the in-game personal trainer, focusing on specific muscle groups or building a routine around your time limits. Your Shape allows you to exercise based on your own preferences, body shape and fitness goals. And tap into the Your Shape Center community to share and compete with players around the world. Introducing Your Shape Fitness Evolved 2012, the fun and customized fitness program on Xbox Kinect that delivers serious results. With over 90 hours of varied activities, including fitness classes such as Boot Camp, Cardio Boxing, Jumprope and Yoga, as well as dance classes like Latin, Hip-hop and African, you can workout and get in shape your way! The state-of-the-art motion tracking technology provides enhanced feedback and now monitors floor exercises like push-ups and sit-ups. Customize your workout by using the in-game personal trainer, focusing on specific muscle groups or building a routine around your time limits. Your Shape allows you to exercise based on your own preferences, body shape and fitness goals. And tap into the Your Shape Center community to share and compete with players around the world. 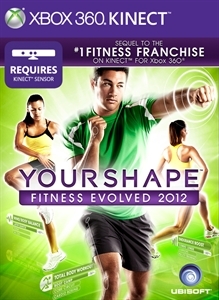 Your Shape Fitness Evolved 2012 is the fun and extensive fitness program on Xbox Kinect that delivers serious muscle-building, calorie-burning results. With over 90 hours of varied and customizable activities, including fitness classes such as Boot Camp, Cardio Boxing, Jumprope and Zen, as well as dance classes like Latin, Hip-hop and Pop, you can workout and get in shape your way! The state-of-the-art motion tracking technology provides enhanced feedback on your exercises, and now monitors floor movements for exercises like push-ups and sit-ups. Customize your workout by using the in-game personal trainer, focusing on specific muscle groups or building a routine around your time limits. Overall, the Your Shape experience allows you to exercise based on your own preferences, body shape and fitness goals. And tap into the Your Shape Center community to share and compete with players around the world.